Already played them lost by 6 after being down by 27. As for a new school or gym, don't see that in the near future... But hey you never know if their is ever a change in the director of school board.. Agreed, but only one person is making such claims..
FACTS are reality, A if is something that will never be a fact.. I know more than you will ever know, i have been following these teams way before you was even a thought, Started way back in the 70's. And as far as the second best team in the state they will receive a silver ball, something that Picket County hasn't done in the past 3 trips to the state. better yet any balls in many years. So when you get a piece of the hardware then come and brag about it..
3 years straight yes, 3 years going home with there tails tucked between there legs empty handed..
2017-2018 Season is just around the corner, any predictions for Class A District 6? Open gym coming soon, guess we'll see who all shows up..
Move in from Stone, wow news to me i followed them through all there camps and no move in from Stone. Meadows never played in that game, and it was Clarkranges 3rd game of the day and SG first so who do you think had the weaker legs? Pickett vs South Greene: Could scoring records fall? Been waiting on this game all season, glad its in the books and very glad it turned out the way it did!! Great job South Greene!!!!!!!! Just my opinion, this game will bite them on the backside or at least I hope it does. This shows no class whatsoever about this teams coach. If you scored 41 points in the 1st quarter and you had already beat the team by that much the 1st round then why not pull all 5 starters out to start the 2nd quarter, or maybe show some class and start the JV unless coach has no confidence in his 2nd and 3rd string No hater here at all could care less who wins in AA, just thinking of the players on the other team and what this will do to there confidence. Cause i'm sure if you daughter played and the tables where turned you would feel the same way about it. You got to want it to win, not convinced we have the want to anymore... Not sure if its because of the injuries or what but someone can you help me to understand? 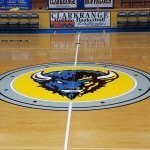 Don't get me wrong I love the lady buffaloes but something is just not right. Good luck with the remainder of the season for as long as it last! They took it as if you were saying the only reason why they lost to DBoone was because you had played DBennit just 2 hours prior to playing DBoone, like as if you would have beat Doone if you hadn't played earlier so they think that is your excuse for losing. Maybe you should try to congratulate and leave the small talk out of it.. Just my opinion. When does everyone understand, this is one county with 1 county high school and 1 state funded school, and 4 county middle schools feeding those 2 high schools. Therefore all students have the option as to which school those choose to go to. If you love the game then why not choose to go to the school with the best athletic department and ranked in the top with the best academics? Its a given!!!! First off let me start by saying congrats on the win lady bobcats. 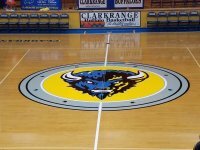 Next until you have the record that Clarkrange Lady Buffaloes have I wouldn't be gloating like as if you have won the lottery. When you all can post this kind of a record in highschool basket ball then you can say you have won the lottery, lol!! 42 years consecutive with a winning record, as to date 1113 wins with only 249 losses, what is that close to 80% of wins? I'm old so my math is not so good anymore lol. Just sayin, now i'm gonna set back and read all the comments to this post of everyone talking all there negativity about the facts.. Have a wonderful season. All the way 7A!!! Starting 3 freshmen, 1 junior, and 1 sophomore and walking out 3 wins to 1 loss i would say they looked pretty good. This Young team will surprise a few teams in my opinion! Everyone thinks since our junior post player is out with injury that we are just going to be a team on the floor. All I really have to say is i wouldn't hit the floor with them thinking you already got the win, you might just be fooled..